Since the end of the first Gulf War in 2001, missile defense has been an absolute priority for Israel. In 2001, Saddam Hussein, in an effort to draw the Jewish State into a war he knew he was going to lose, fired 39 Scud Missiles at Israel in a failed attempt to fracture the fragile Arab coalition formed against him. Though ultimately Saddam Hussein's attempt to draw Israel into the conflict failed, many missiles did manage to find their targets and innocent Israeli's died as a consequence. The strategic threats Israel faces in 2018 are much direr today than they ever were in the 1990's or early 2000's. Hezbollah, to Israel's north, has acquired a truly enormous arsenal of missiles and rockets. Conservative estimates put the Hezbollah arsenal at well over 100,000 rockets or more-all of which are aimed exclusively at Israel, and all of which now have the ability to reach any part of the Jewish state for the first time. In any future confrontation with this Lebanese terror group, there is a genuine risk that Israel's defensive solutions, sophisticated though they are, would be completely overwhelmed by the sheer weight of the barrage they would face. Israel would be rapidly swamped by the deluge of rockets and missiles fired at her. Yet, that is not the only, or most significant, threat Israel must manage. Hamas, towards Israel's south has also managed to acquire, despite their often repeated claims of abject poverty, a truly huge arsenal of rocketry. Add Iran into this mix, and the existential threat of their nuclear weapons program and their genuinely sophisticated ICBM systems, and it becomes clear that the Israeli strategic military landscape is a formidable one. Juniper Cobra is part of the joint response to these threats. Not aimed at any individual scenario, it deals with the development of "complex scenarios," which include simultaneous attacks from multiple enemy countries and militant groups. 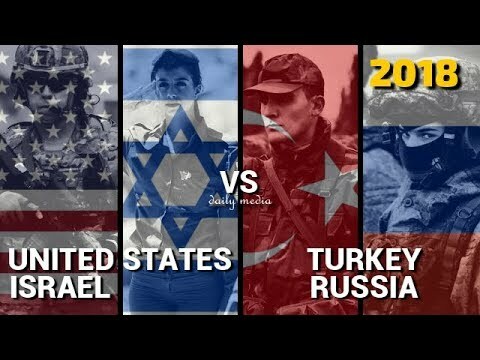 The US and Israel are preparing for a war in which the Jewish state will face a "multidirectional threat." In other words, they are preparing for a war in which Israel will be attacked, at the same time, from all sides. Brig. Gen. Zvika Haimovich, chief of Israel's air defense command, relays that they do this "...because this scenario is real." Brig. Gen. Zvika Haimovich is not over-exaggerating; Iran has been very busy of late. In late January - early February, Iranian leader, Hojatoleslam Seyed Ebrahim Raisi, was pictured closely scrutinizing the Israeli-Lebanese border. Raisi was not there simply to enjoy the fine views; he was examining Hezbollah fixed border positions directly facing Israel and, ominously, inspecting the border formations Israel's army had taken up to counter them. That this man would visit the Israeli-Lebanese border is highly significant. He is Ayatollah Ali Khamenei's leading successor and the second most important person in Iran. Nobody commands more attention or wields more power other than the Ayatollah himself, than this man. And he seemed to be very interested in Israel's borders and in her ability to defend and repel an organized and sustained attack, and in the capability of Iran's proxy, Hezbollah, of launching just such a meaningful attack. "It was Hezbollah's fighting capacity alone that generated resistance in the Islamic countries. Allah willing, we shall soon witness the liberation of Jerusalem!" Yet Raisi is not the only high-profile Shiite to visit Lebanon in recent months. On December 2nd, 2017, Qais al-Khazali, head of the pro-Iranian Iraqi Aasaib Ahl al-Haq militia, also visited the area, also for a firsthand look at Israel's border formations and military set up. 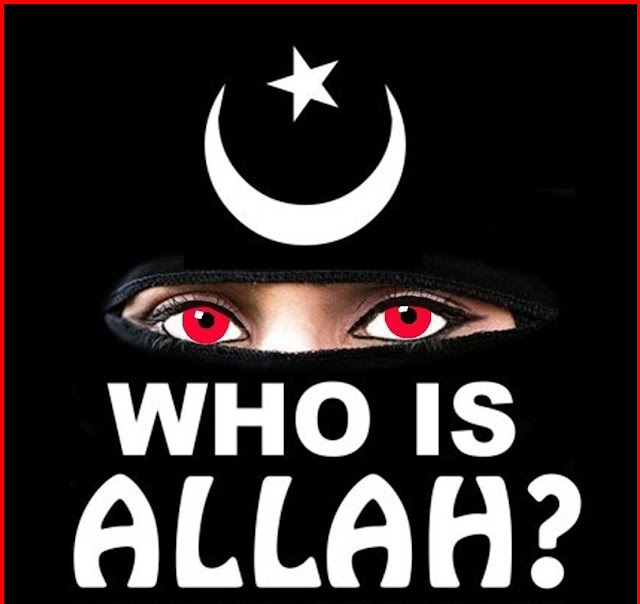 It is widely believed in Israeli intelligence circles that Qais al-Khazali performed this surveillance on behalf of the Iranian al-Quds General Qasseem Soleimani himself, the legendary Iranian supreme military commander in Syria and Iraq. Qais al-Khazali, on behalf of Iranian General Soleimani, was assessing how to more effectively deploy Hezbollah's now tested and battle-hardened forces right along the full extent of Israel's northern border. These visits were highly political in nature too. Qais al-Khazali's visit came just one day after Israeli Prime Minister Benjamin Netanyahu met with Russian President Vladimir Putin to discuss Syria, Iran and Hezbollah. The message of these visits, and their timing, was a clear one; no matter what was discussed between the Israeli and Russian leaders, Tehran has no intention of withdrawing militarily from Syria and, additionally, would be extending its presence right into Lebanon with the aim of directly confronting Israel itself at some point in the very near future. And it all began to go wrong for Putin in a quaint little English town called Salisbury, with the poisoning of two seemingly harmless individuals - an old man and his thirty-year-old daughter. It would seem at this point unthinkable that Vladimir Putin did not directly authorize the poisoning and attempted assassination of Russian former spy Sergei Skripal and his daughter Julia. Then, just days ago, came Douma. In another act of senseless barbarity, someone - the Syrian regime or another actor, launched a horrific chemical weapons attack on the Damascus suburb of Douma, killing and maiming many, including babies and children. It is against this background that the large Syrian air base, known as T-4, and operated extensively by Iran as a forward-operating base, was then attacked on Sunday night. Russia believes this attack came from Israel, and Russia's tone and attitude towards the Jewish State has immediately shifted. The Kremlin's longstanding modus operandi with regards to Israel's military strikes in Syria in the past was to make no comment. That has now changed. This time, the Kremlin condemnation of the Jewish State was swift, reporting that two Israeli F-15 jets carried out the attack using guided missiles launched from within Syrian airspace. Russia has asked Israel for their "explanations." Israel, as always, has made no comment. Sergei Lavrov, the outspoken Russian Foreign Minister, told reporters that the "air strikes carried out on Sunday were a dangerous development." Dangerous indeed, because Russia seems to now suspect that the Israeli strike is a US test, to see what Russia's response would be ahead of a potentially larger US operation that may come any moment now. Russia has warned of "grave consequences" if they do. It is impossible to say, at the point of this writing, what may happen next, as developments on the ground are fast moving. The US or her allies may strike in Syria, or they may not. Russia may retaliate, or she may not. One thing is certain though; the events of the past few weeks, the obvious preparations being made by Iran and Hezbollah for war against Israel, the poisonings in the UK and the chemical weapons attacks in Syria - all being brought into sharp focus through the prism of Syria - may be pushing Putin firmly into the embrace of an alliance prophesied about eons ago by the prophet Ezekiel. Recent events, especially if there is further military action taken against the Assad regime by the West in the coming days and weeks, may make Putin finally turn on the West's regional Achilles heel, Israel. The Jewish calendar is different than the modern calendar used by most of the rest of the world. Instead of 2018, the current year on the Jewish calendar is 5778. That date starts with the creation of man 5778 years ago and is based on the biblical ages of early man. Since BC and AD refer to a change in the calendar of the day because of the birth of Jesus, our Messiah, it is not recognized since they do not believe that Jesus was the messiah foretold by their very own prophets. The rabbis of Judah were a stubborn bunch, and the children of Israel are described throughout the Bible as "stiff necked." The designation of Before Christ and After Christ began to slowly come into effect around 525 AD. In the Jewish calendar, all holidays occur on exactly the same date, according to the calendar, which is based on solar cycle and lunar cycle. A year can be 12 months or sometimes, 13 months; and the months have 29 or 30 days. In contrast, the modern calendar has 12 months of 28, 29, 30 and 31 days. The first month of the Jewish year is the month of Nissan. In the current year, the month of Nissan runs from March 18-April 15 and always includes Passover. The month of Av is also the Month of Mourning, specifically Tisha B'Av, the 9th of Av, for good reason. 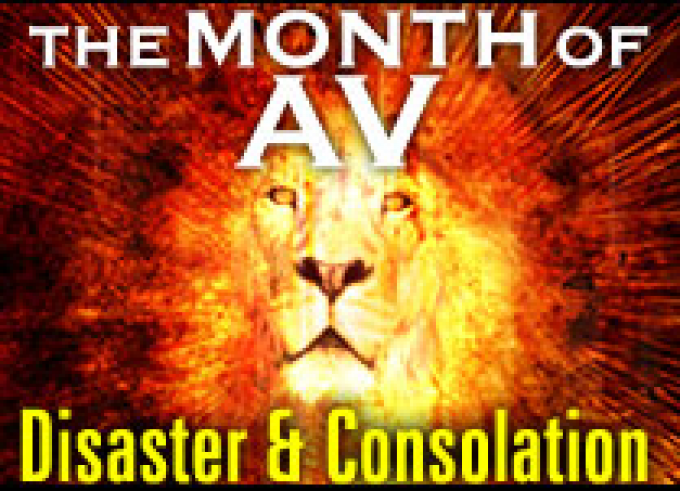 This month has proven so catastrophic throughout Jewish history, a fast occurs for three weeks before the 9th of Av. This year, the 9th of Av is July 21, 2018. The consensus: The Jewish people have experienced several major tragedies in history that have occurred on the 9th of Av. 1. Hebrew year 2448 (1312 BC): Moses decided to delay conquering Canaan because the spies he sent in reported the people were giants, and the cities were well-fortified. The Lord said to Moses, "Send some men to explore the land of Canaan, which I am giving to the Israelites. From each ancestral tribe send one of its leaders." When the spies returned after forty days, all but two insisted that they not invade. While the land indeed was a land of milk and honey, the people were giants and fierce. As a result, the Israelites spent a total of 40 years in the desert, a year for each day the spies were gone. 2. Hebrew year 3507 (587 BC): Nebuchadnezzar and the Babylonians destroyed Solomon's Temple (the First Temple). The two remaining tribes of Israel (Judah) were exiled and more than 100,000 Jews were killed. 3. Hebrew year 3830 (70 AD): The Second Temple, built after the defeat of Nebuchadnezzar, was destroyed by the Romans. In the process, more than two-million Jews died from war or famine/disease. 4. Hebrew year 3895 (135 AD): The Jews continued to rebel against Rome after the Second Temple was destroyed. The new Roman emperor, Hadrian, made promises of a Jewish homeland and a rebuilt temple; but he later reneged. Under Jewish guerilla-leader Bar-Kokhba, the final battle took place at Bethar where thousands of Jewish refugees had fled during the war. The old temple grounds were plowed smooth, Jews were exiled again; and more than 100,000 were killed. The Romans continued construction of pagan city Aelia Capitolina, built on the ruins of Jerusalem. 5. Hebrew year 4855 (1095AD): Pope Urban II declares the First Crusade to rid Jerusalem of Islamic takeover. During the first month, 10,000+ Jews were killed. 6. Hebrew year 5050 (1290 BC): England expels all Jews. 7. Hebrew year 5252 (1492): Spain and Portugal expel all Jews and confiscate property. 8. Hebrew year 5674 (1914 AD): World War I declared. 9. Hebrew year 5702 (1942 AD): Jews begin their deportation from Warsaw to the Treblinka concentration camp. 10. Hebrew year 5754 (1994 AD): The Jewish Community Center, Buenos Aires is bombed with 86 killed. In the future, to that same degree that the ninth of Av has been a day of tragedy, it will be a day of great happiness. For on the 9th of Av, the Mashiach will be born from the tribe of Yehuda (whose symbol is the lion). I am now writing the seventh and final book in a series about the last days, a journey I began with Part One in 2011. I had a calling. The End Part Seven should be available late summer, hopefully. the Jewish Messiah will be born out of the tribe of Judah and will come as a lion to save them from yet another tragedy on the 9th of Av. Could the date of Armageddon start on this date, as the quote predicted? We do not know the day and time, but this date would be a good guess. The middle of summer is a difficult time to fight a war. Unfortunately, Israel missed this part of the story from Isaiah, where the Messiah from Judah would first come as a lamb going to slaughter. Had they not, they would have understood, like thousands of other Jews did, that the Messiah had already come. When Jesus, the Lion of Judah, returns, even liberal churches of today will understand that Jesus is neither liberal or pacifist by their definition, nor is he all-inclusive. The news is good though. The ending is happy for those who make the cut. In the letter to the church at Corinth, Paul speaks of a “mystery”. This is not to be confused with a detective thriller or a murder mystery, as the word “mystery” comes from the Greek word “Musterion” which literally means “secret or a hidden thing”. Many in our modern era think of a mystery like Sherlock Holmes, or Agatha Christie, but this it not what Paul is referring to. Paul's use of the word “mystery” is defining a much hidden doctrine which describes the “rapture” or the Harpazo of the church, which literally means to “remove by force from one place to another”. This was a truth that had yet, not been revealed. This is but two of the prophets that proclaim the “Day of the Lord” not to forget Amos and Joel, and near every Old Testament prophet from Isaiah to Malachi have something to say of the “Day of the Lord” so no, it was not a mystery to anyone who had read the Old Testament from the Torah into the major and minor prophets as they all made reference to the “coming of the Lord”. So what is this “mystery” that Paul speaks of? Paul is speaking of a “hidden thing” that God had not made known to men before Paul. Where did Paul come to knowledge of this mystery he speaks of? Remember after Paul received his sight from Ananias and laying his hands on him . Immediately, Paul went into the wilderness. I believe that was most likely the Arabian desert and stayed their for 3 years before he even revealed himself to the other apostles and began preaching in the synagogues throughout Israel. I believe this is where Paul received his “revelation” of the mystery of the rapture of the church and it came directly from the “Master” Himself, Jesus Christ, who revealed things to him that were not lawful for men to hear. This is where Paul was “schooled” in the things of God that had not previously been revealed. It is where Paul introduced “faith through Grace” of our Lord God, and a “mystery” of the rapture of the church. Previously, even Jesus came and preached the Kingdom of God, but until Paul was given the visions or an eye witness to things that had been unrevealed to other apostles. Paul spoke of these two mysteries that had never been approached by any other Biblical writer in the Old or the New Testament. 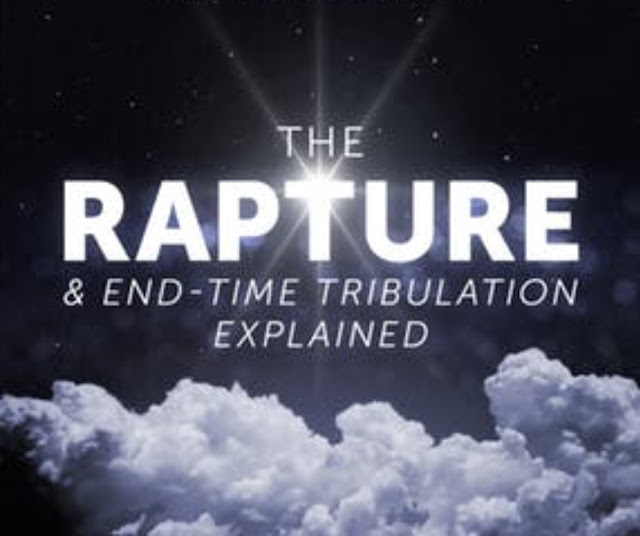 Many people have a hard time grasping the belief of the Pre-tribulation rapture of the Church. I have some even in my own family who think I am “way out there” for believing such a thing, saying there is not any evidence for that belief found in the Bible. 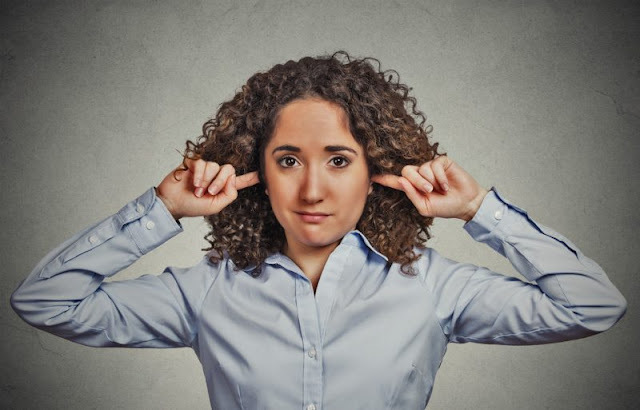 I have to smile to myself (or frown depending on the person saying it), as they can't see the forest for the trees, but rely on men to give them the interpretation of what the Bible speaks of, instead of allowing the Bible to interpret itself. I had one man, who charged that there is not one word in the Bible that speaks of a “rapture” as if that meant something, as if they interpreted what is written. Then they would see it staring back at them, as they read in the New Testament, especially the words written by Paul the Apostle. There are several words that are not in the Bible, like try to find the word “Bible” in scripture. Does its absence from the text mean there is “no Bible”? Of course not. It is something all people accept as they have the book in their lap which is defined as “what it is” even though the word is not mentioned. I have others who babble on mindlessly about “Margaret McDonald and C.I. Scofield, or John Nelson Darby, before pronouncing Dispensationalsim and the Pre-Tribulation Rapture as a modern day “invented” doctrine. I say “mindlessly” because they don't know what they are talking about, not realizing that the subject was doctrine within the 1st Century church, but was squashed by the likes of the Theocracy that ruled in the Dark Ages. Each are just parroting somebody else's research and embracing it as Gospel, not realizing that they have no basis for the belief, save to believe somebody else. 19 “Thy dead men shall live, together with my dead body shall they arise. Awake and sing, ye that dwell in dust: for thy dew is as the dew of herbs, and the earth shall cast out the dead. 14” For if we believe that Jesus died and rose again, even so them also which sleep in Jesus will God bring with him. Then to add to the doctrine, Paul speaks of in several places of “we are not appointed to God's Wrath”...and that is what the Tribulation and the Great Tribulation is all about. 8 “But let us, who are of the day, be sober, putting on the breastplate of faith and love; and for an helmet, the hope of salvation. This is but one of the passages that speak of being saved “out of” and away from God's Wrath. Note that Jesus is creating a place for us and will come again to RECEIVE YOU UNTO MYSELF. Not coming to where we are, but bringing us to where He is....Jesus is at the right hand of the Father God in heaven and He will bring us to this third heaven and we will be adopted as sons and daughters in the “family of God”. This will all happen at the Bema Judgment seat of our Lord Jesus, where He gives rewards for service and we are adopted, because we will have the same rights as a spouse has with her husband...We are the Bride, and Jesus is our husband in the spiritual sense of the words. While no man knows the day of the hour, it doesn't stop some folks who have popped up on my Christian forums to state that the rapture of the Church was April 6th. No really!! The guy was serious, although I have not had a response from him on his “little error”. Then I have another “sister in Christ” who proclaims that the rapture will “definitely” be during the year of the Jubilee and will end on April the 19th...so Jesus will come between now and then. What will each do when their predictions come to nothing? Do they want to look like another Harold Camping and destroy their witness? The Bible makes clear that we don't know the day or the hour, but we know the season. WE are “definitely” in the season of the Lords return. Jesus said that there was one key to let us know the hour is at hand. It is the only sign Jesus gave for the timing of His return. Oh, we'll see many things that Jesus laid out to be looking for in the same chapter, BUT the birth of Israel was the sign of a generation would not pass who saw Israel reborn in a day, and would see Jesus back on earth reigning and ruling for 1000 years. He told us in His Word that a generation is 70 years, 80 years by strength, but is full of sorrow and then we fly away. Simple math will show that the season is right upon us. We don't know the day or the hour, but the timing of His return could be any year that Paul spoke in the opening passage, which is a reference to the Feast of Trumpets. Paul speaks of the “last Trump” which is used to end the autumn feast every year. Now Jesus fulfilled each “Feast” on the very day of the Jewish observances, as they are not Jewish, but given to all mankind as a plan of redemption. The next one is the coming Feast of Trumpets, which has the “last Trump” that Paul speaks of . As God is a God of order, then logically and prophetically, God will keep the fall Feast observances in order, as He did the Spring feast, and I look and listen for the sound of a trumpet every fall about that time. Will it be this year, next year, and a year after that? A generation of the rebirth of Israel is 70 years this May...how much time does the Church have to wait before Jesus breaks through the clouds and cries aloud “Come up Hither”?...It may be sooner than anyone of us can imagine. Praise our God, the rapture happens before the Tribulation, and if you look around you, Tribulation is festering on our front door steps. You can call it the “Blessed Hope”, or the “Great Escape”, but be not fooled my friend, He IS COMING and with the state of Global affairs, it can't be much longer. 16” For God so loved the world, that he gave his only begotten Son, that whosoever believeth in him should not perish, but have everlasting life. This is pastor Mike Taylor, praying you make that decision for Christ right now, and don't put it off one more minute, as you are not promised tomorrow....AS Today is the day of salvation...not tomorrow....If you need prayer, counseling, or just a listening ear, then email me at realteam1999@sbcglobal.net, or visit me online at www.pastormiketaylor.blogspot.com for more biblical lessons from the Word of God..